The Superdog Blue Dog Shirt creates a stylish look for your super hero doggie. 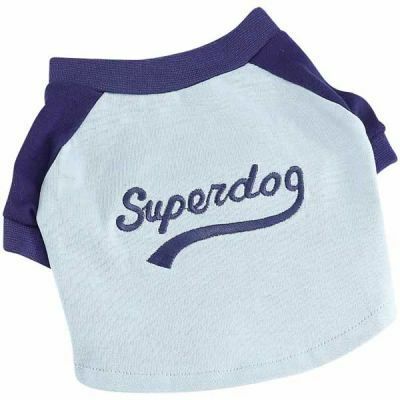 The Superdog Blue Dog Shirt is midriff length, with two tone and are made of machine washable 100 percent cotton jersey. The light blue shirts feature a quality embroidered Superdog logo on the back and have a dark blue yoke and sleeves. Ribbed cuffs and neck ensure a comfortable fit.